Bhagalpuri saree as the name says originates from a place called Bhagalpur, situated on the banks of river Ganges in India. Bhagalpur is called as the silk city. The silk produced in this region is used to weave the sarees. It is a very fine form of silk. 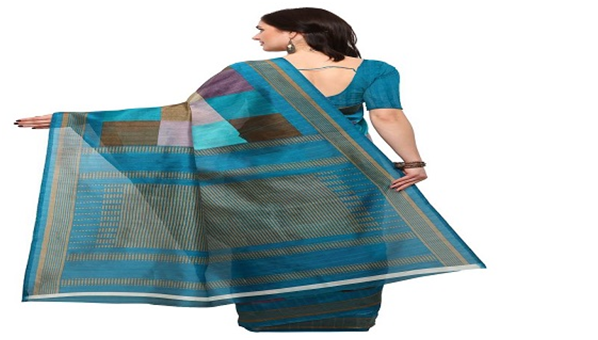 Bhagalpuri silk sarees were manufactured by highly skilled craftsman and was found two hundred years ago. Bhagalpur silk is the finest among all the silk. It is also known as the queen of all the fabrics. It is known for its superior quality and unique texture. Traditionally, these sarees were woven on handlooms. Bhagalpuri weavers were one of the largest handloom industries. They had approx thirty five thousand weavers and twenty-five thousand handlooms. Bhagalpuri sarees had a unique dyeing technique which set them apart from other silk sarees. The delicate artwork displayed in these sarees was flawless and it did depict every bit of the Indian culture. The artwork was inspired by the natural surroundings. This pure and magical artwork was used ages ago and was passed on from one generation to another. The sarees are woven with multi coloured threads of silk, which are woven in exotic and intricate motifs making this type of saree unique, vibrant and different. Bhagalpuri sarees were such rich looking sarees that to give enough credit to the artwork done to it, it used to be worn during important events such as religious ceremonies, weddings, formal occasions, celebrations and others. 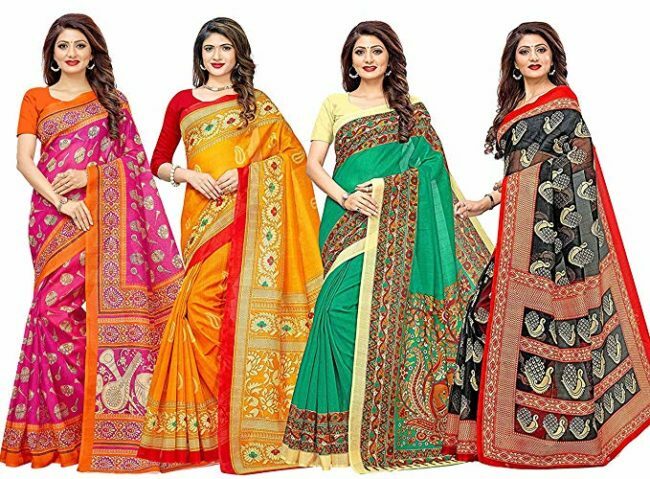 Now a day, in this fashion-driven world, the innovative touch given by the fashion designers, make these sarees wearable for every occasion; be it formal or informal as their designs have be tamed down to the highest level of delicateness and it can fit well in any event. Bhagalpuri artwork has managed to cover its art form in different items other than sarees such as furnishing items, table covers, curtains, cushions, bed covers etc. This fabric has gained importance and love from different fashion industries across the globe. Fashion capitals like Paris and London have shown interest in this Indian fabric which has led to increase in its demand. The motifs and the pattern used in Bhagalpuri saree were inspired from nature and few from Mughal era. These sarees are dyed with bright colours to give them a vibrant look and make them suitable for any events. The silk used were extracted from the finest silk cocoons. The slight coarseness in its texture was the only feature that distinguished it from other silk fabrics. 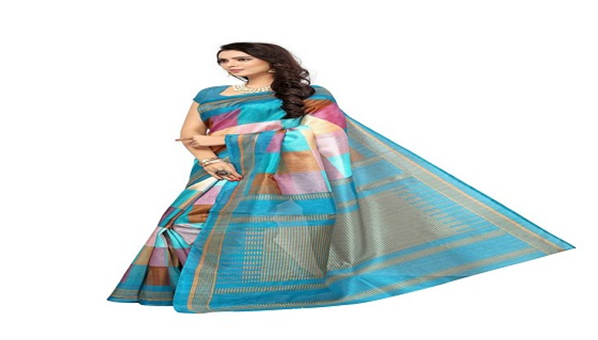 Since Bhagalpuri sarees are prepared from fine silk, it usually ranges on the expensive side. 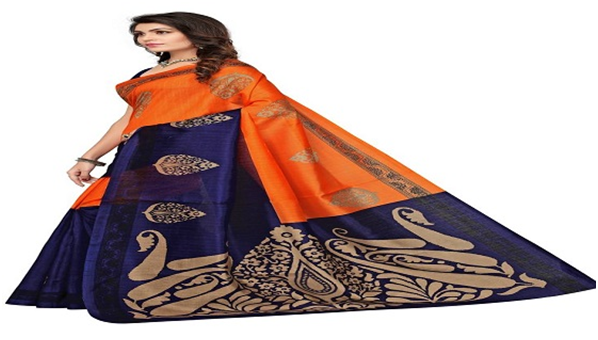 However cheaper versions of the silk are used for economically ranged Bhagalpuri saree, although the richness and the elegance cannot be replaced by the cheap silk. With the passing traditional years, the Bhagalpuri artwork had lost its shine due to socio- economic reasons, due to which the demand had decreased. But in the present scenario it has gained back its glory once again in the fabric industry. Different institutions took up the initiative to bring back the lost artwork in the markets. Due to this initiative, Bhagalpuri sarees and artwork came back into the scenario with a bang, gaining importance and hearts all over the world. In order to meet the changing needs and demands even the designers are infusing in variety of changes. The best of prints can be availed from the virtual store. The numerous designs out here are strikingly impressing and best to keep you above edge of fashion statement.